Bake in hot oven 425º for 12-20 minutes, depending on thickness of fish. 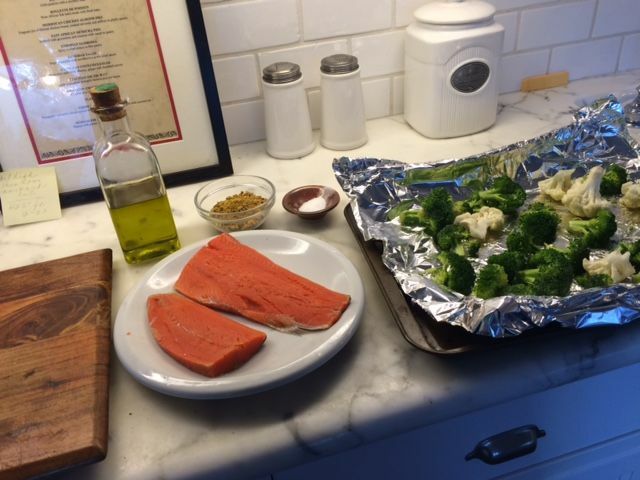 Smaller pieces take less time, a whole side of salmon longer. 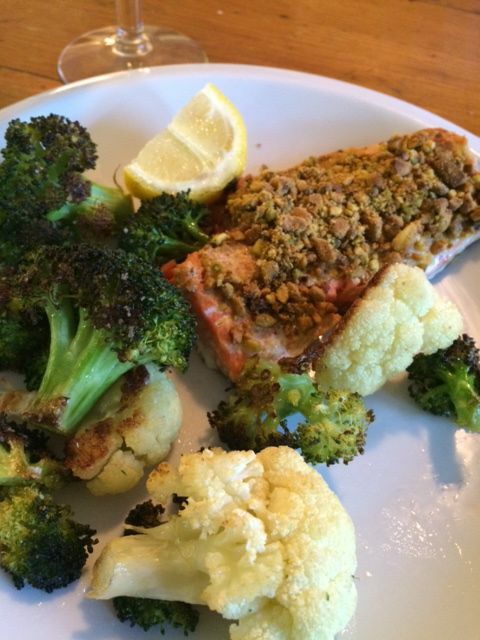 I serve it with roasted broccoli and cauliflower and a salad which makes it a really healthful dinner. [Though the first time I got a little too enthusiastic with the slathering of mustard.] I’ve also tried it with almonds instead of pistachios and they worked well. 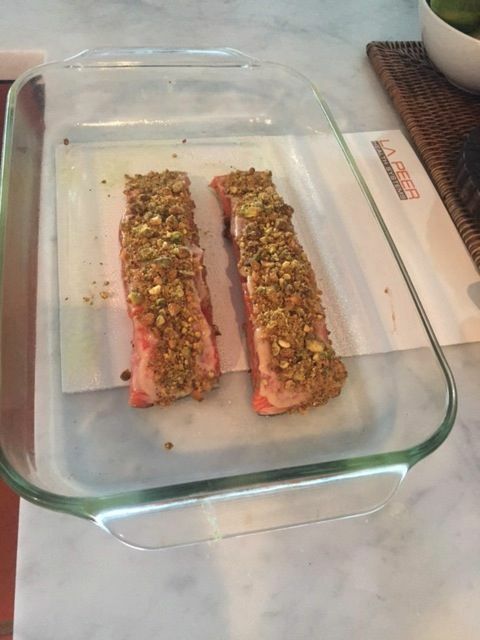 My friend Phyllis emailed me and said she was going to make this dish. She sent me the before picture. (below) and meant to send an after picture but she said they enjoyed it so much that they forgot all about the picture. She used honey mustard instead of Dijon and said it worked.. It looks beautiful, Barbara!!! Sounds good, too! I usually enjoy plain wild salmon broiled with some salt on top, but I’m going to try this recipe. Congratulations and thank you for sharing! Yum, looks and sounds delicious.